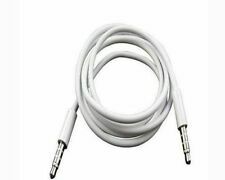 WHITE 3.5mm TO 3.5mm CAR AUX AUDIO CABLE For iPhone, Samsung, LG, Nokia, HTC mp3 Player etc. 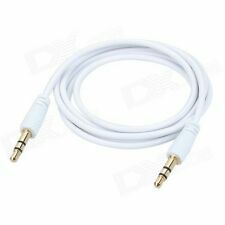 1 X WHITE 3.5mm TO 3.5mm CAR AUX AUDIO CABLE For iPhone, Samsung, LG, Nokia, HTC mp3. 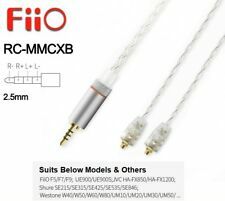 Connectors: 3.5 mm Stereo Male to 3.5 mm Stereo Male. With its separate left and right channel wires and signal transfer, the cable enables balanced operation for your earphones. 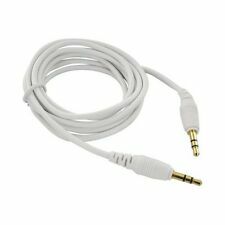 When connected to a balanced headphone amp or DAC, this cable can greatly enhance channel separation as well as markedly increase the signal to noise ratio.